Designed for advisors who provide portfolio management services to their clients, SmartOffice Wealth Management Suite combines practice management with portfolio management seamlessly and affordably. 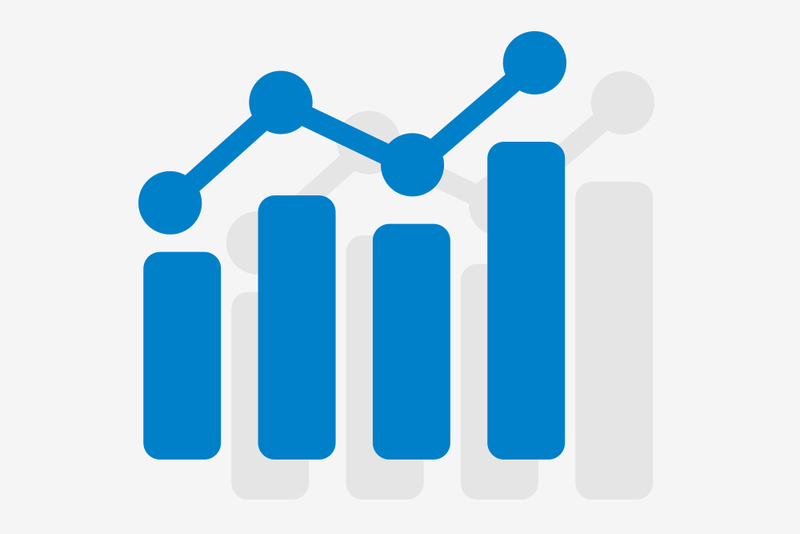 Increase your brand value with professional, industry-leading client reports. Eliminate the cost of calculating rate-of-return with our fully-automated daily calculation service. Provide current portfolio values to clients and advisors via a mobile-friendly web portal. Calculate ROR for a variety of time periods (quarter, year, etc.) with daily returns. *Automate your invoicing to save even more time. Additional charges apply. Eliminate the tedium of manually downloading and reconciling transaction data from your custodian, clearing firm, manufacturer, and held-away asset sources. Mitigate the risk of high-stakes errors using our automated data profiling and quarterly data sweeps. Receive automatic alerts about transaction data anomalies. Simplify setup of new accounts and securities with our configurable default rules system. 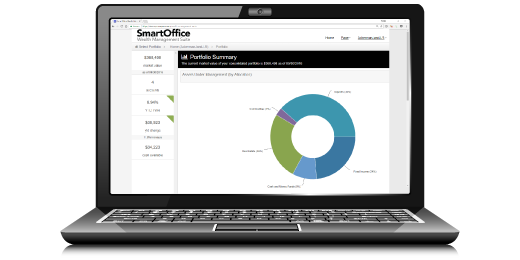 SmartOffice Wealth Management Suite takes service to the next level when it comes to portfolio management. Our team will help you get up and running quickly and ensure that you achieve your business objectives. Let our experts guide you through the process of learning how to use our portfolio management technology. Get quick answers to technical issues and training questions with phone support. Eliminate data security and disaster recovery costs with our enterprise-certified hosting operation, as well as our monitoring and reconnection services. SmartOffice Wealth Management Suite lets you bring your other wealth management tools into the mix, empowering you to execute your investment strategy like never before. Never miss an opportunity to grow your AUM by integrating and automating your rebalancing service. Streamline the process of allocating and evaluating investments to fit your client's goals by connecting your financial planning platform. How much does the suite cost? SmartOffice Wealth Management Suite offers highly competitive monthly billing with little to no startup cost. Pricing varies depending on the number of active accounts under management and custodians used, with plans starting at $500/month. Call us today at (800) 777-9188 for a quick quote! Which firms provide data for your data feed? SmartOffice Wealth Management Suite can pull data from all major custodians and even from some less common data providers. We also have solutions to aggregate your clients' held-away assets and liabilities. Do I need a SmartOffice CRM subscription to purchase this product? No, you can purchase SmartOffice Wealth Management Suite as a standalone portfolio management system. However, with a SmartOffice CRM subscription, you can take advantage of several productivity-boosting integration features. SmartOffice Wealth Management Suite can push high-level position data directly into SmartOffice. That means you can use SmartOffice's reporting, filtering and other data mining tools to identify sales opportunities or send timely mass correspondence based on how your clients are currently invested. Does this solution provide financial planning features? We do not offer a financial planning feature at this time, but we do integrate with the leading financial planning solutions. Are billing and reporting services available? Or is it a manual process? SmartOffice Wealth Management Suite allows a hands-on firm to manage its own reporting and billing, but we do offer full back-office support that includes client billing and report delivery services for an additional charge. Where does your pricing data come from? SmartOffice Wealth Management Suite leverages your firm’s IDC or Thompson Index subscription to update pricing data. Can you bring in my clients' historical data? Yes. Our data specialists have experience bringing in historical data from all major providers. We pride ourselves on making an exceptionally complex process manageable for our customers. Call us today at (800) 777-9188 for a no-obligation quote! How is client information imported into Wealth Management Suite? Do I have to enter it manually?